You know how trendy it is to wear jeans that look old and beat up, right? 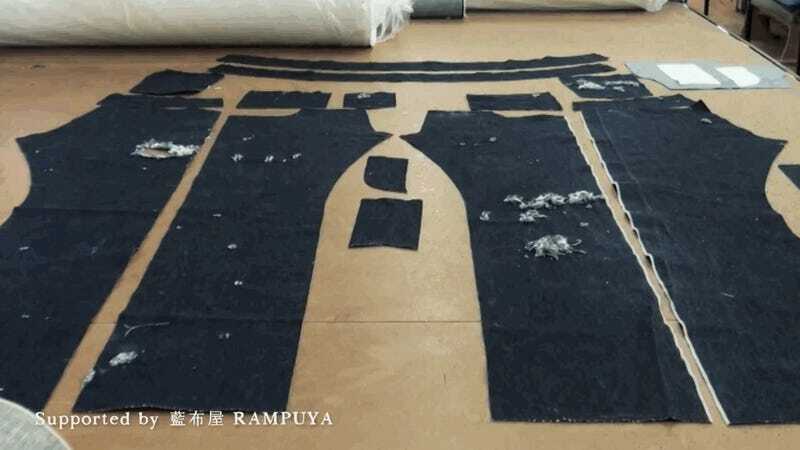 Most denim companies turn to sandblasting to get the job done, but a Japanese charity has a new idea: let lions, tigers, and bears (oh my!) do it. We'll show you how, with gifs. Step one: Wrap denim around tires, logs, and balls. 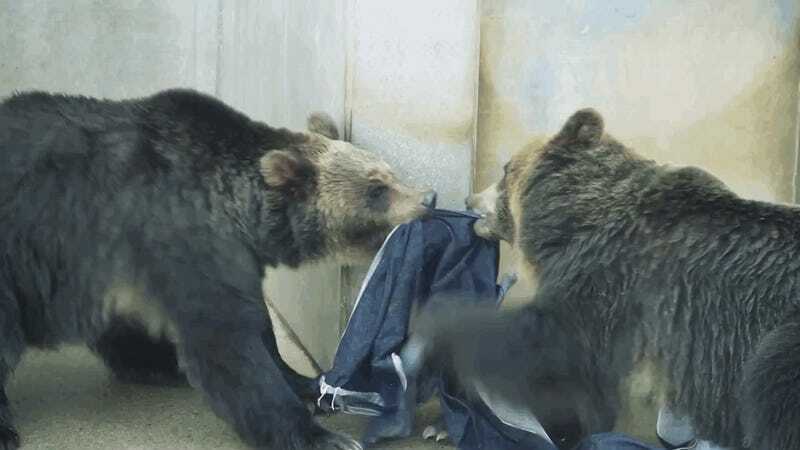 Step two: Throw the denim-covered objects into the carnivore enclosures at Japan's Kamine Zoo. Step three: Let the animals do what they do best. Step four: Sew the shredded denim into jeans. Everybody wins! The animals get environmental enrichment; predators like lions, tigers, and bears love having objects they can totally destroy. The Mineko Club, which is selling the couture jeans, gets free work out of the animals. 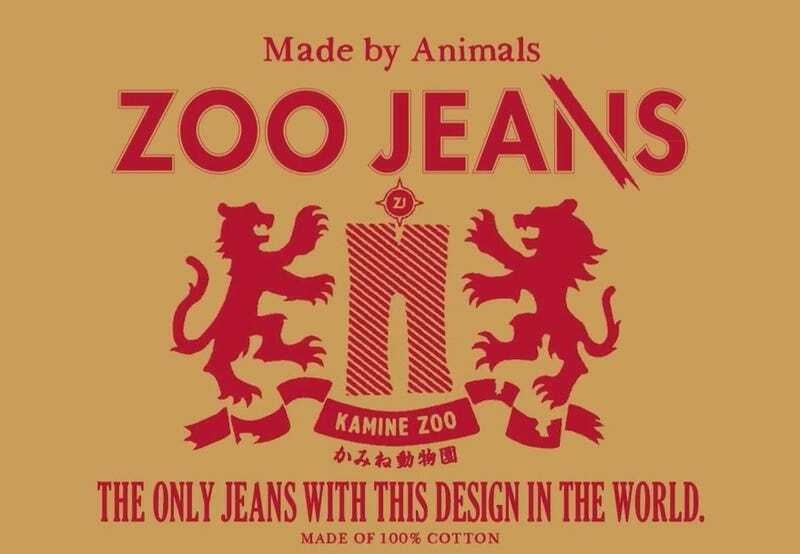 And you, the consumer, get a unique piece of fashion, the "only jeans on Earth designed by dangerous animals." The Mineko Club, by the way, is a group of Kamine Zoo supporters. Profits from the sale of the jeans at a special online auction will go to renovations at the zoo and to the World Wildlife Fund. You still have a few days to join the auction. If you win a pair, please be sure to send us a photo of yourself modeling your 100% original, artisanal, haute couture jeans.